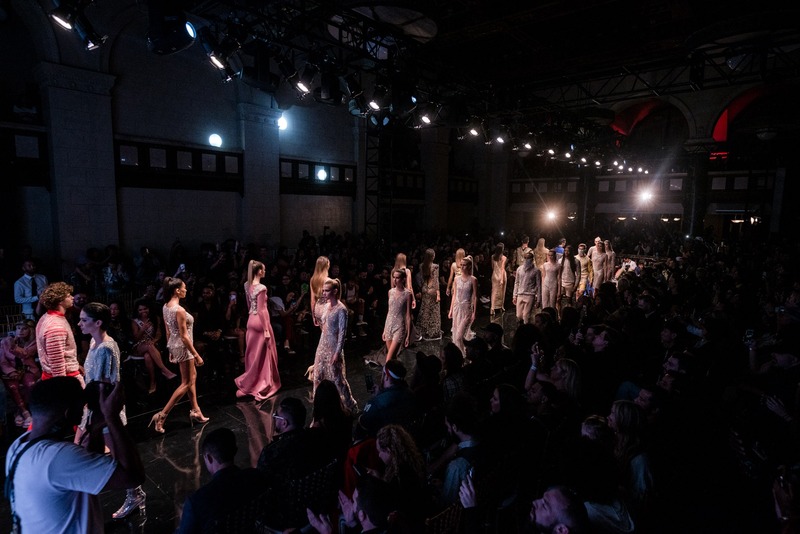 Los Angeles Fashion Week powered by Art Hearts Fashion (AHF), takes over Downtown LA from Thursday, March 21st through Sunday, March 24th, at The Majestic Downtown. Photos courtesy of Thierry Brouard (Premium Paris). The event celebrates its 12th season and is expected to attract the crème de la crème of LA’s fashionistas, buyers, celebrities and worldwide media. Thirty dynamic and very diverse designers will be showing during the four-day affair. 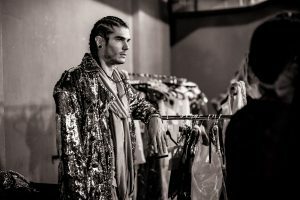 For ten years, AHF has elevated LA’s fashion scene, getting recognized by the City of Los Angeles as the biggest fashion platform last year. AHF is a leading platform for designers and artists to showcase their collections in a contemporary fashion week setting. 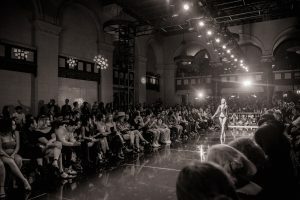 It’s apropos for LA Fashion Week to take place at one of LA’s most stunning venues, The Majestic Downtown, a historically preserved building, protected by the National Register of Historic Places. It was built during the reign of the Beaux Arts movement in 1924, by architectural firm Schultze and Weaver. The man behind AHF, Erik Rosete, started out by managing some of the biggest models, designers, musicians, and actors in the world. Then he created his own highly successful clothing line, Mister Triple X. Eventually, he started AHF which has been held coast to coast as a platform for artistic and celebrity designers to showcase their collections during New York Fashion Week, Los Angeles Fashion Week and Miami Swim Week. Now a major player in the international fashion scene, AHF events benefit multiple charities including the AIDS Healthcare Foundation, the Make-A-Wish Foundation, Aids Project Los Angeles, Women’s Cancer Research and METAvivor, metastatic breast cancer research, support and awareness. When honored by the City of Los Angeles, Rosete said, “Being Awarded the Official Certificate of Recognition by the City of Los Angeles for creating the biggest fashion platform in Los Angeles was truly a special and validating moment in our journey. We set out to create something special and, in the process, we grew into the biggest and longest running platform in Los Angeles.” He continued, “We kicked off the week with Boy London as we celebrated Fashion Night Out. We created a unique experience for our guests and allowing them to personalize clothing from the brand with their unique alterations. 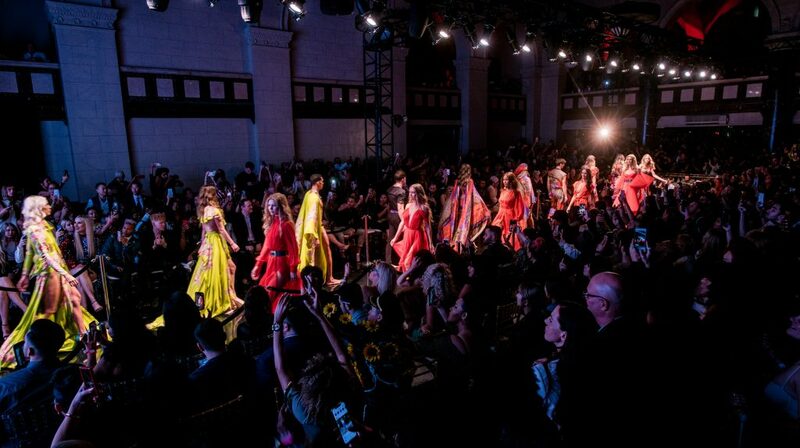 Celebrity designer Michael Costello kicked off the runway shows with a bang at the Majestic Downtown, followed by three of our most art inspired designers comprised of Nathalia Gavira, George Styler, and Candice Cuoco”. Through the years, AHF has had major successes in launching the careers of many of its designers, models and other affiliates. 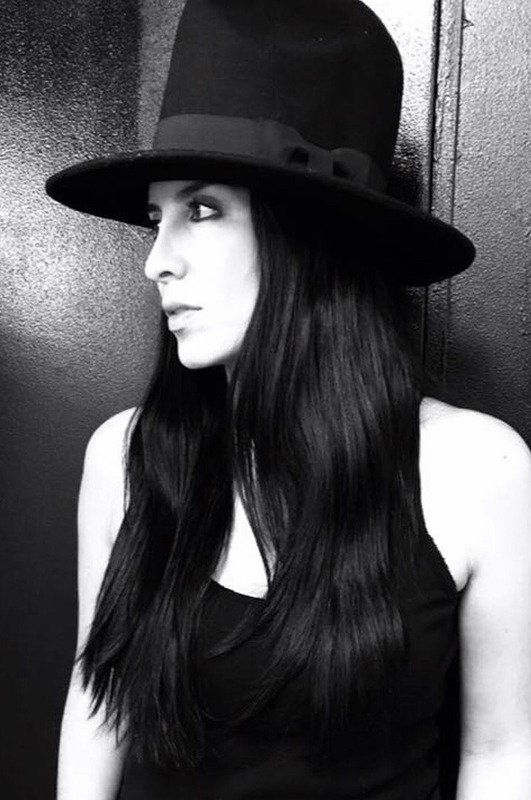 Designer Orlebar Brown, who showed at Miami Swim Week last year, got purchased by Chanel, in September 2018. Designer Kentaro Kameyama was scouted by Project Runway, which advanced his career and made him a household name. Michael Ngo was discovered by AHF and now dresses some of the biggest celebrities in the world such as Mariah Carey, Demi Lovato, J Lo, Nicki Minaj, Ciara and Kelly Clarkson. Willfredo Gerardo, who has shown at AHF for years, is now hosting a TV Show, Style, for the E! Network in Mexico. AHF has also helped models boost their careers. Janine Tugonon, the first Filipino Victoria Secret model got her start at AHF. Neels Visser, is now the face of Dolce & Gabbana, Maybelline and American Eagle. Nadia Mejia would eventually become Miss California in 2016.